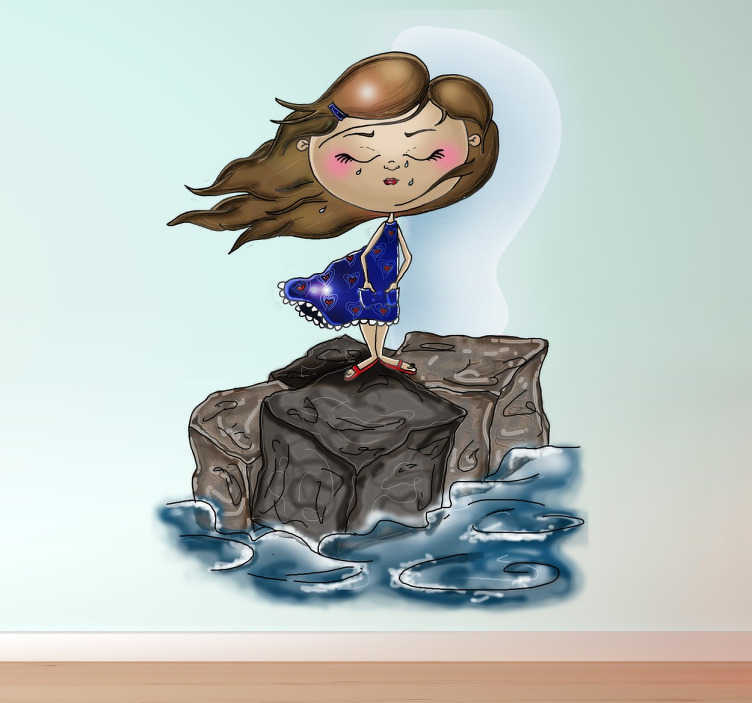 A fantastic design of a girl at sea from our collection of sea wall stickers. Ideal for those that love the sea and sea life. A seaside wall art decal illustrating a very windy sea. If you are looking for a wall decoration to give your home a new appearance and atmosphere then you have found an original design to give your home what you desire. This girl at sea design is super easy to apply and leaves no residue upon removal. Made from high quality vinyl and available in different sizes.